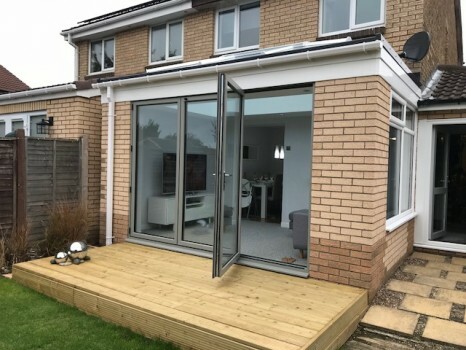 Here is an Orangery we have recently completed this Orangery in Washington that provides additional living space off the customer's kitchen and dining room. A rubber roof with glass lantern ensures the new room benefits from plenty of light while bi-folding doors provide access to the garden. Bi-folding doors are available in a wide range of colours including Stone Grey as pictured. If you are thinking of a similar project call us to speak to a member of our team for more information.